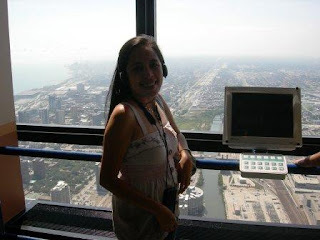 Trails and Travelogues: Sears Tower Skydeck - Come View The World! 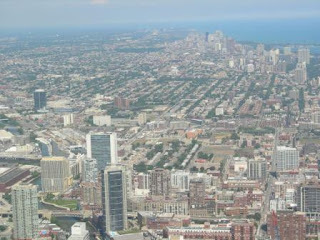 We did our tour going to Sears Tower Friday morning. (August 29, '08) The line was not long so we thought we can just get our tickets quick. We add some extra amount for our audio tour. It's not recommended to get the audio tour. It's just a given option. It was offered, so we got it :). 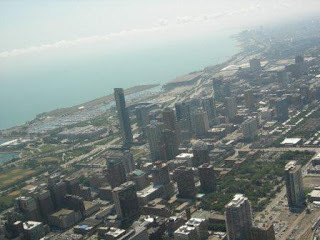 There is short movie about the Sears Tower before you go up, but again, it's an option for you whether to watch it or not. We chose to watch it. A little bit of history always helps. 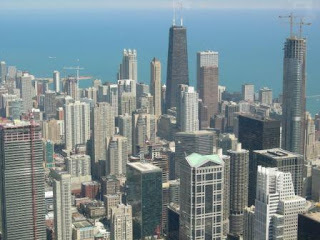 Going up is through elevators that move as fast as 1,600 feet (488 meters) per minute. You will be reaching hundredth? floor. 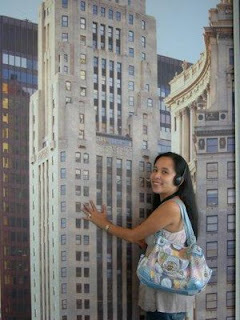 I had a hard time recalling what floor were we! LOL! Anyway, once you're on top, there will be 4 viewing spots; South, East, North and West Wings. When you are doing the audio tour, you can get a lot of good historical backgrounds of the buildings and landmarks surrounding it. 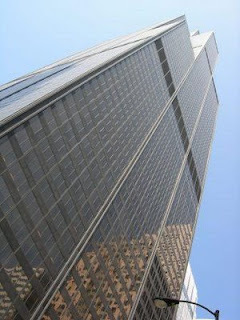 While it is no longer the tallest building in the world, it remains one of the true wonders of the modern world and the only way to get to the top of it is The Sears Tower Skydeck!